First of all, create your account and ensure you input the right email and phone number. This data will be used for emergency contact. Before linking your new Pbike to your account, ensure the bluetooth in your mobile is turn on. 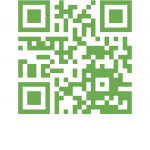 Scan the QR code that you will find in the Pbike package. In a few seconds you will receive a notification confirming that your Pbike has been added to your account. 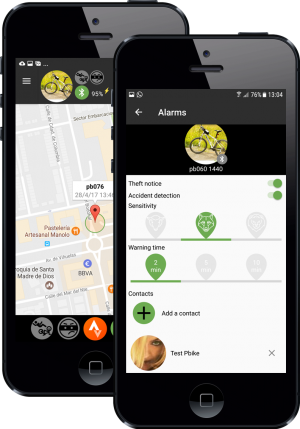 Now you can locate your bike wherever it is and also configure your app, including the alarms. 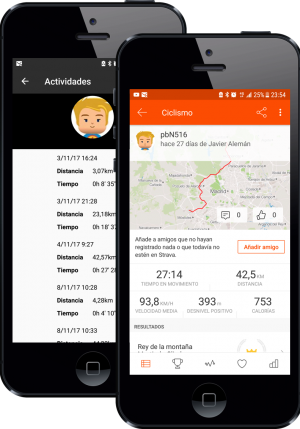 Configure the alerts, the emergency contact list and your STRAVA profile. 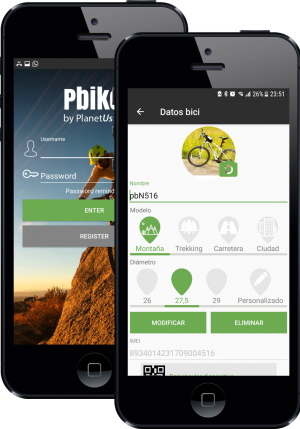 Pbike can get your position base on three alternative methods (GPS, GSM or Bluetooth). Pbike will automatically select the best possible method in every case. You can activate / deactivate the alarms (robbery & crash detection) from the main screen. 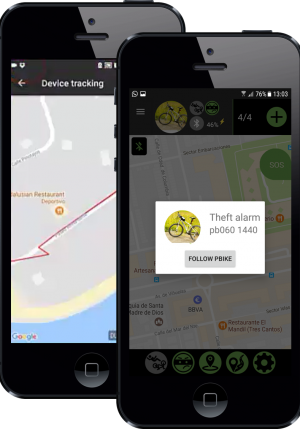 When activated, if someone try to move your bike, you will receive a silent alert asking you if you want to track your bike. Also, establish the “warning time” that will be considered by your Pbike before alerting your emergency contacts in case of an accident. After an accident, you will be able to cancel the alert messages during this period. If something happens to you, they’ll know where to find you. You will only be able to activate/deactivate the alarm from the app. When activated, if someone try to move it, you will receive a silent alert asking you if you want to track your bike. Alternatively, you can go to “Notifications” and select any previous robbery alarm to activate the tracking. When tracking your bike after a robbery, you will receive its updated positions every 10’’ (average time). To start using STRAVA with your new Pbike, first you will have to login into your account. Once you do it, the STRAVA button will turn orange. From that moment, you will be able to activate/deactivate the tracking activity directly from your device, or from your phone. Once you have recorded a route you will receive a notification in your mobile to downloaded it as soon as you are connected via Bluetooth.